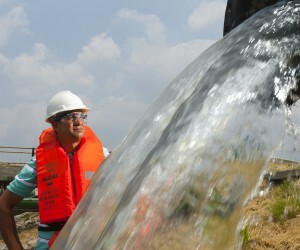 Undoubtedly, water is the world’s most critical resource, sustaining life and enabling economic and social development. The importance of water to human development is highlighted in the fact that vast quantities of fresh water are used on a daily basis in agricultural practices, and in order to manufacture consumables, generate power, process and extract minerals, and process food and beverages. Despite the fact that water is integral to the lives of people, however, it continues to be an undervalued resource. In fact, it is estimated that by 2030, the Earth’s projected 8 billion people will require 25% more fresh water. Further, from a local perspective, South Africa is predicted to have a gap of 17% in water supply and demand, estimated to a water shortage of 2.7-billion cubic metres in 2030. Considering its importance and value, companies must be aware of the serious business implications or risks that can emanate from low confidence levels in the assurance of water supply. For the mining sector, the risks associated with insufficient or low-quality water supply is even more apparent, and includes uncertain availability in water-stressed regions, higher costs and regulatory caps on usage. Other potential risks may involve increased pre-treatment and wastewater treatment costs, and increased responsibility to implement community water infrastructure and watershed restoration projects. As such, it is essential that local mining companies pay particular attention to water issues, and institute measures that will result in more effective water management. 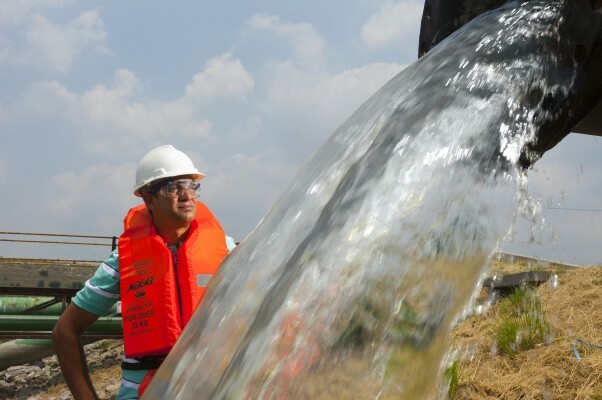 Anglo American already has impeccable water policies and strategies in place, owing to its complete commitment to making a real difference in terms of environmental sustainability. Central to this approach is the Integrated Water Management Service (IWMS), which was recently launched by Technical Solutions, one of Anglo American’s in-house technical resources housed within the company’s multidisciplinary Mining and Technology function. IWMS presents a step-by-step approach to water management within a mining company. A critical aspect of this service is the provision of hands-on assistance to mine managers and all other designated on-site people to implement best practice. The intention is to sift through the extensive data and issues identified in both external and internal reviews and audits, select priority issues, and implement best practice solutions. Technical Solutions works closely in-house and partners with various company functions, drawing on the combined expertise of the company’s in-house technical, scientific and engineering skills, and furthering Anglo American’s vision to be the leader in mine water management. The IWMS is the next logical step in Anglo American’s comprehensive water strategic journey phased over 10 years, with implementation being realised in three key areas: improving operational excellence, investing in technology, and engaging and partnering with stakeholders. The initial phase of the IWMS, to identify key priorities at two sites, is complete. This simplified approach to a potentially overwhelming problem will help offer a definitive solution to the practical implementation of water management, realise potential opportunities, and assure investors of the short- and long-term results and benefits. The IWMS team is headed up by Technical Solutions’ principal hydro geologist, Johanita Kotze, one of only a few hydrogeologists worldwide to possess the kind of qualifications and experience she has. Further, Anglo American has some major water projects in progress, such as a desalination plant at Mantoverde Mine in Chile’s Atacama Desert. This plant is expected to meet the mine’s total water needs and eliminate any need to compete for water resources in one of the world’s driest deserts. Start-up is scheduled for some time this year and, in addition to achieving sustainability, the 20-month planned construction project will provide an estimated 150 jobs. In conclusion, it is essential that comprehensive and intelligent water management is implemented on a wide scale by mining companies, in order to achieve sustainable mining and create a significant economic offset. Committing wholeheartedly to these principles will ensure these objectives are swiftly achieved, and a real difference is inculcated in the establishment of water security for the mining industry.